The Only Difference Between The Dog & Me? I'm a Lot Better Looking. I have an appointment with the good government employees of the San Francisco ABC Office on January 31 for the very reason the Insider Blog at Wine Business pointed out earlier today…a winery on Zinfandel Lane in St. Helena has 4 tons of what was Thomson Vineyards 2009 Chardonnay, they won’t give it back, they won’t return any wine to me, and I haven’t seen a dime of the $10k it’s worth. What I am put out by is that California Wine Growers extend credit year in and year out sans credit, background or blood type check to big wineries and small while credit and financing institutions across the US make it more and more difficult every day to secure business financing, raise interest rates and enforce stricter penalty laws on businesses of all kinds, yet there is not one venue available to Wine Growers to run a “credit check” on a winery. Next to the winery on Zinfandel Lane, we’re owed some change by a winery who recently made the SF Chronicle’s list of top Carneros Pinot Noirs on the market. Funny, that winemaker said the fruit was $hit. They always seem to say that when they can’t pay. I bought a scale off of Crushpad in San Francisco last year and being the girl in heels and chunky fashionable jewelry the Crushpad employee got to talking about how he to used to buy fruit out of Carneros. Pinot Noir. Old Vine. Real good $hit. But that he didn’t have a good business sense about what it actually took to be in the wine industry with his own label and financially failed – he “paid” greatly for it, going almost bankrupt. He ended the story by saying, “I never paid the grower for that fruit…who did you say your family was again?” I responded Thomson & Iund Vineyards. He went white. The rest of the story is writing on the wall – afterwards I tried to talk him down from $600 to $400 on the scale politely pointing out he never paid his debts on the fruit he took from us years back and maybe he could cut me a better deal on that there scale. More recently, a negociant that I sold sunburned fruit to in 2010 said he wouldn’t sign a contract with a California Lien Law clause. I’ve since heard that whether the clause is inserted in the contract or not it’s California law; applies whether I hand write it in there or not. Any lawyers want to weigh in on this? Any growers want to share their story about enforcing such a clause in their contracts? Another Wine Grower, Pilar Luchsinger of Luchsinger Vineyards in Lake County and I were kicking around dirt clods in the driveway two weeks ago and this topic came up. A Millennial woman herself (the sub sector of the industry with all the greatest ideas), we’re proposing a Black List database where Growers can either post and search the names of wineries who haven’t paid up, or straight up Scarlet Letter this plan and put it on a public website until debts owed are paid in full. Here’s the thing. Right about now your skin is either crawling or you’re in the cheering section bursting with Wine Grower pride. But as the Insider Blog points out, if you don’t have glass, cork, or labels your product aint gonna go to market and so it’s just easier to prioritize the Grower further down on the list. Being the only one in the supply chain with a perishable product seems to make the Wine Growers the unfortunate underdogs in this situation, now doesn’t it? We all have cash flow issues in this economy, but is it fair to make the one link in the supply chain wait that without it you’d have NOTHING!?! Glass? Put it in a canteen. Cork? Be a spendthrift and use synthetic. 25 ounce bottle vs heavy as steel glass? The choice is obvious. The California Association of Winegrape Growers reached out to me a month ago after I publicly stated that Thomson Vineyards would no longer be paying membership fees to grower or wine or industry associations who could not prove their value beyond email blasts and paid seminars. CAWG wanted to know if I would speak candidly about what benefits of membership I would consider valuable. Candidly!?! Did they know who they were speaking to? I’ll be meeting up with CAWG, if they can track me down, at Unified Wine Grape Symposium this week to talk about The Black List. That’s real value. And let’s be totally clear. There is no malicious intent behind this proposal. 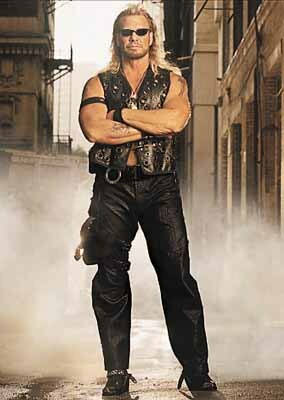 Now Dog The Bounty Hunter – he’s malicious. Take your pick. I’ve been on both sides of this issue, buyer and grower. I suppose I have been lucky in my dealings. As a buyer we have late-paid but never stiffed a grower. As a seller we have been late-paid but not stiffed (yet). My understanding is that the lien law applies, but I wish I was an attorney so that I could give you real help here. That said, here’s what I think – if a buyer refuses to pay, you have to pay a lawyer to go to court and get a judgment. Once you have the court ruling against the deadbeat, then you can put them on The Black List. I believe the court judgment is a matter of public record, meaning the deadbeat can’t threaten you with litigation for libel, or whatever. And I am totally with you regarding the so-called trade associations. I have found them of little value, and so belong to just two association. But I pay my dues grudgingly. I rarely find their interests align with mine. Will Market Enforcement help you or is that more trouble than it’s worth? For an attorney’s point of view, here’s a link to an article I wrote for Wine Business Monthly recently about grape contracts that addresses many of the issues raise by the author of this post: http://www.winebusiness.com/wbm/?go=getArticle&dataId=74834. Suffice it it say that the Producer’s (aka Grower’s) lien does exist and is the most powerful grower weapon, regardless of whether it is in the contract or not. It is created by statute. But there are lots of other options for a grower, too, including CDFA market enforcement against the winery, etc. But most of the matters I’ve handled of late have actually ended happily (or least acceptably) for the grower, one even getting paid for 2009 bulk wine IN FULL nearly a year and half after harvest. Growers In The Frosty Seat. Wineries In The Hot Seat.